It is a common opinion that everyone is parroting about kids these days - they don't read! But could you really blame the kids when you've been to busy to pick up a book, after all kids follow by example. Happy Chaos has launched a book club for kids, and we're sure your tiny tots will love meeting new friends and reading along with them. If your're a parent, chances are, more than anything else, you hand over your phone or the remote to your kid simply to channel their excess energy, which you are unsure of how to direct. Thankfully, parent and child wellness centre Happy Chaos has come up with a remedy that will not only prevent your tiny tots from getting addicted to the phone or the tv, but will also direct their energy into doing something worthwhile. Paying heed to the usual complaints that teachers and elders have towards kids, they have started a kids book club that will encourage the kids to pick up a book, and also get into the habit of reading. Hurry up and sign up your little monkeys to this book club if they are anywhere between ages 6 and 10. The book club meet is usually held for an hour on the first Saturday of every month when all the little ones get together to reading and discussing a book. Think they will get bored in the very first day? Don't worry there are group activities that will keep them counting days to come back for more. 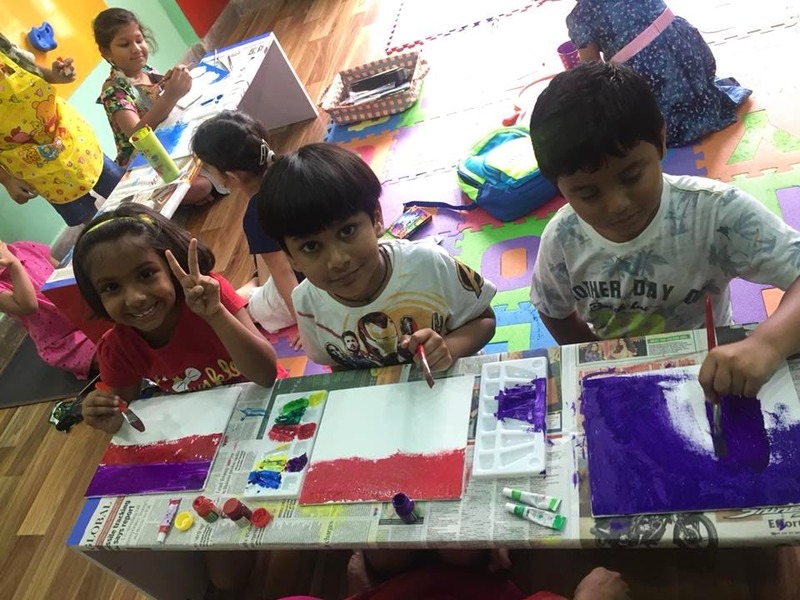 Scrapbooking with picture and colours to learning how to keep a journal - this is their opportunity to pick up exciting hobbies, and also learning the skill to work in groups. More bonus, you don't have to pull your hair to fix play dates any more. Nothing could get better than playing with new peers and friends while learning new things! Subscription starts at INR 300 for every meet. Call up the centre to register your bub, now. The meets are widely spread out. Once a month meet works great for adults, though may be not so much for kids who are easily distracted by other things. The book club also organises author meets and bookstore visits under proper supervision. Books that are read and discussed in the meets are also available at discounted rates to be bought from the centre itself.